← Squash & Pumpkins – Fall is here! Are you tired of the same old sides to serve at Thanksgiving!? 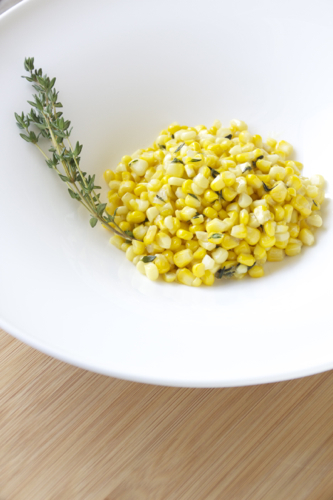 Impress your guests with this Fresh Corn Sauté as a side and they will finish it all! I love corn and the biggest corn fan in my family is my sister! 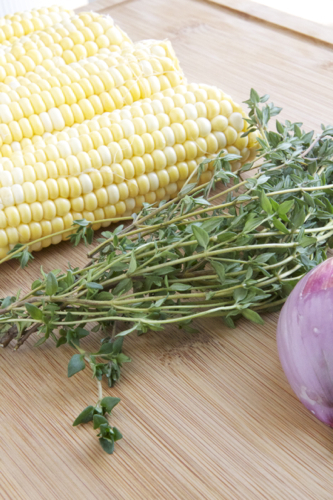 Corn on the cobb is fun to eat, but it gets into your teeth! It’s not a fun situation when you are sitting around the table with a bunch of people trying to pick out the kernels with your tongue! So we always take the corn and cut off the kernels. 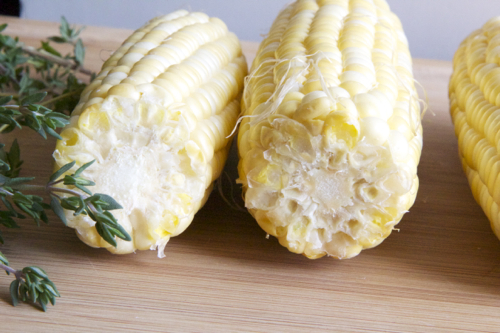 During Thanksgiving, I’ve rarely seen a corn dish besides corn bread, so I thought why not do a recipe based on corn, fresh corn! This dish is so delicious! 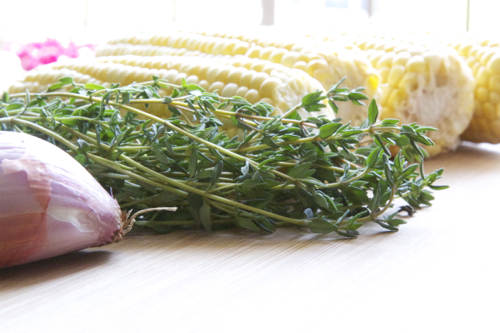 The sweetness of the fresh corn with the mixture of the shallots and herbs is the perfect side dish to any meal, not just Thanksgiving! 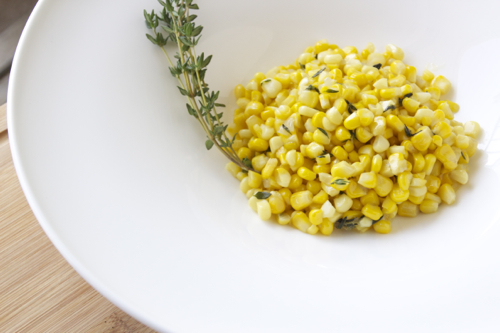 The corn is crisp yet cooked perfectly. I made this dish once for my family and they took more than two servings! My husband loves it and my sister always takes home the leftover when I make it just for me and my husband. This is a recipe you will always want to make, it is easy, cheap and so fast. 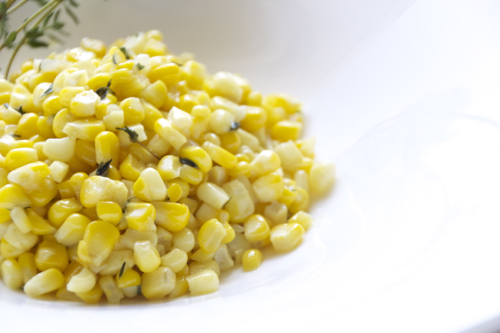 This recipe serves 2-4 people, but if you have a large crowd coming over, just get more corn and double your ingredients. You can even make this the day before and just heat it up when ready to serve! 1. In a small pot over medium heat, sauté 1 tbsp of butter and shallots for 2-3 minutes. 2. 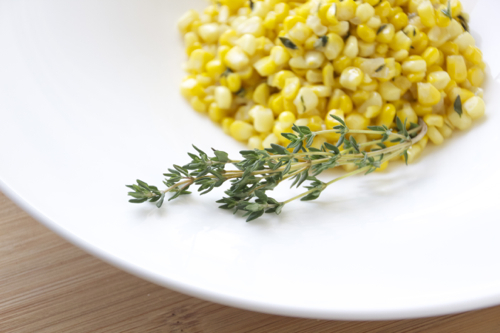 Add the corn kernels, thyme leaves, bay leaves and remaining 3 tbsp of butter. 4. Remove the bay leaves, season with some salt and serve. 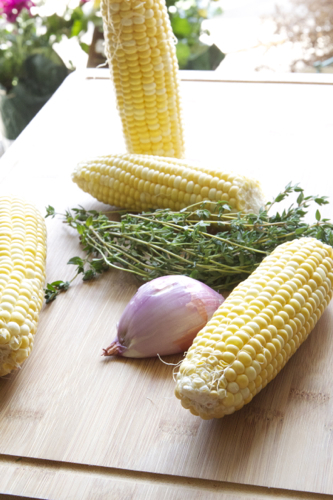 *Cooking this on low heat, allows the corn to slowly cook through and allow all the flavors combine.